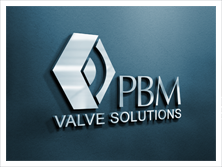 Industries | PBM Valve - Prominent Worldwide Manufacturer of Safe, Reliable, High Quality Valves! PBM Inc was established in 1899 as a foundry in Pittsburgh Pennsylvania serving the Steel Industry. In 1960 PBM moved to it’s current location in Penn Township (Irwin, PA), about 20 miles outside of Pittsburgh. PBM shipped it’s first ball valve in 1960 and continues to be an innovator in fluid control products serving a diverse industry base, including Energy, Cryogenic, Consumer Products, Chemical, Marine / Shipbuilding, and Pharmaceutical. The PBM facility is approximately 35,000 square feet residing on 9 acres with 90 employees. PBM performs all activities from it’s Irwin location including engineering, manufacturing, assembly, testing and R & D functions. PBM uses the latest technologies in machine tools to produce the highest quality valves and competes world-wide by focusing on valve solutions. PBM is an ISO 9001-2008 certified company. PBM produces metallic valves with both soft and metal seats, ranging from ¼” up though 12” in size. Some products include ASME-BPE complaint, ABS type approval, API-607 fire testing, API-622 low emission packing, SIL 3 capable per IEC 61508, NQA-1 nuclear service valves, and Cryogenic valves with leakage rates less than MSS SP-134 standards. PBM valves for the Cryogenic Industry have a unique design that accommodates leak-free operation through cooling and heating cycles.